YOUR INTENSIVE CARE HOTLINE - What if you could reverse the Intensive Care team wanting to “pull the plug” or “withdraw treatment” on your critically ill loved one? Nothing sparks more controversy, more emotions and differing views than “Withdrawal of treatment” or “withdrawal of life support” situations in Intensive Care! You and your family on the one hand want everything done for your critically ill loved one and yet you don’t know how to go about it and you don’t know how to get the results and outcomes that you want and deserve, especially if you copy the behaviour of 99% of the families of critically ill Patients in Intensive Care who make no informed decisions, have no peace of mind, no control, no power and no influence. You and your family have no idea about what’s really happening in Intensive Care, especially what’s happening “behind the scenes” and therefore you are unable to position your critically ill loved one’s diagnosis, their prognosis as well as their care and their treatment in a light that gets you the results you want and deserve and potentially save your critically ill loved one’s life! On the other hand Intensive Care teams with their “perceived power” and their “perceived authority” know all about their “hidden agenda” and they know all about how they are going to position your critically ill loved one’s diagnosis, their prognosis as well as their care and their treatment in a light that enables them to “withdraw treatment”, “withdraw or limit life support” and/or issue a “DNR” (Do not resuscitate) or an “NFR” (not for resuscitation) order without you and your family being able to challenge or reverse it. Getting results and outcomes that you want in Intensive Care especially if your critically ill loved one is in a situation where the Intensive Care team wants to “withdraw treatment” or “limit or withdraw life support” is not as difficult as it seems, especially if you follow expert advice from someone who knows Intensive Care inside out and who knows the dynamics, the politics, the Psychology and the intrigue on an intimate level. Let’s get into today’s topic. 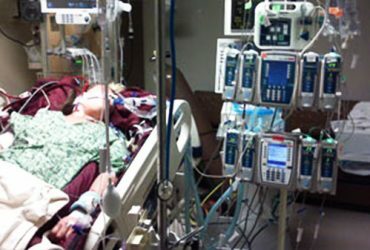 I receive a lot of phone calls and emails from distressed families of critically ill Patients in Intensive Care where they feel pressured to “agree” to a “withdrawal of treatment”, a “withdrawal of life support” or to agree to a “DNR” (Do not resuscitate) or “NFR” (Not for resuscitation) order. Families of critically ill Patients in Intensive Care who experience such a difficult, challenging and often traumatic situation don’t see it coming and they are usually taken aback and shocked by what the Intensive Care team is presenting to them. They are shocked to find that Intensive Care teams often don’t have “the best interest” of their critically ill loved one at heart. When I get phone calls and emails from distressed family members regarding the Intensive Care team pressuring them to “agree” to a “withdrawal of treatment”, a “limitation or a withdrawal of life support” or to agree to a “DNR” (Do not resuscitate) or “NFR” (Not for resuscitation) order they can’t believe that this is happening right in front of their very eyes. They feel like they’ve got to sign the execution papers for one of their loved ones. That’s cruel and inhumane and yet it’s reality even though we are living in the 21st century! 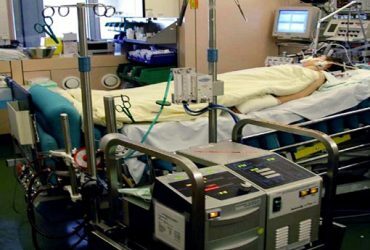 And what’s even worse, Intensive Care teams most of the time try and “sell” you on a “withdrawal of treatment”, a “withdrawal of life support”, as well as “DNR” (Do not resuscitate) and “NFR” (Not for resuscitation) orders as being “in the best interest” for your critically ill loved one. That’s at least how I felt in many situations when working as a bed side nurse in Intensive Care when senior doctors have asked me to “withdraw treatment” or “withdraw life support” on a critically ill Patient. And I have made very clear to them that I wouldn’t follow their orders unless I knew that the family was on board with this decision and unless I knew a transparent and amicable process had been followed, which is what rarely happens in those situations in Intensive Care. The good news is that families of critically ill Patients in Intensive Care have way more power than they think they have if they follow expert advice and guidance. 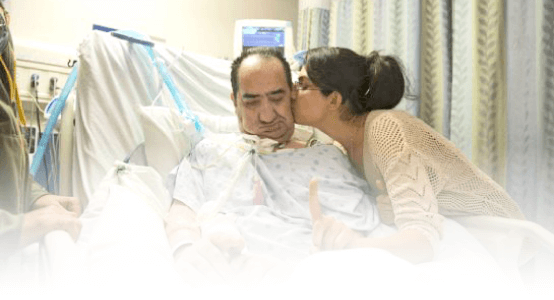 Is your critically ill loved one in a “real” or “perceived” end of life situation? Again, usually when I get phone calls or emails from distressed family members who feel pressured by the Intensive Care team to “agree” to a “withdrawal of treatment”, a “withdrawal of life support” or to agree to a “DNR” (Do not resuscitate) or “NFR” (Not for resuscitation) order, the first question I ask them is if they are dealing with a “real” or a “perceived” end of life situation. Most families of critically ill Patients in Intensive Care are baffled and shocked by me asking this question and they often have to think for a minute. Once they understand that there is a difference between a “real” and “perceived” end of life situation that’s when they can take the first steps to get into an empowered state. Once families of critically ill Patients in Intensive Care understand the difference between a “real” and “perceived” end of life situation, I often hear things like, “you are the only sane voice in this mess” or “thank you Patrik for explaining the difference”! After more than 15 years Intensive Care nursing in three different countries where I literally worked with thousands of critically ill Patients and their families and where I have been actively involved in hundreds of “real” and “perceived” end of life situations in Intensive Care, I think I have a real duty to share with you the lessons that I have learned! I have also worked as a Nurse Unit Manager in Intensive Care for more than five years and I have been managing again many “real” and “perceived” end of life situations in this role. I’m also now managing many “real” and “perceived” end of life situations in my 1:1 counselling and consultancy practice here at INTENSIVECAREHOTLINE.COM and help my Clients to make informed decisions, get peace of mind, control, power and influence in those situations! The fact of the matter is that you and your family need to know and understand the difference between “real” and “perceived” end of life situations no matter what! Who’s in control of your critically ill loved one’s fate and destiny? You and your family need to know that you can have the ability, the capabilities, the resources as well as the “know-how” at hand if you want to reverse a “withdrawal of treatment”, a “limitation or a withdrawal of life support” situation or if you want to reverse a “DNR” (Do not resuscitate) or “NFR” (Not for resuscitation) order. The fact of the matter is that you want to be in control of your critically ill loved one’s fate and destiny! It’s nonnegotiable! Over the last few weeks I have been in quite a few family meetings in Intensive Care with my Clients and as with most of my clients I get results really fast in order to help my clients get the outcomes that they want. In both cases my clients’ family members had been critically ill in Intensive Care and in both cases the Intensive Care team tried to pressure the families to “withdraw treatment” on my Clients’ critically ill loved ones. 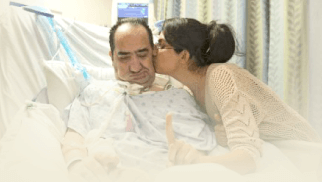 Both families felt like they were now too far outside of their comfort zone and they also felt that their loved ones were nowhere near of dying. Getting results fast whilst facing extreme adversity! With both Clients I was able to very quickly get to the bottom of things and I found through my questioning that both Intensive Care teams had made irresponsible decisions leading up to a “withdrawal of treatment” as well as issuing a “DNR” (Do not resuscitate) order! 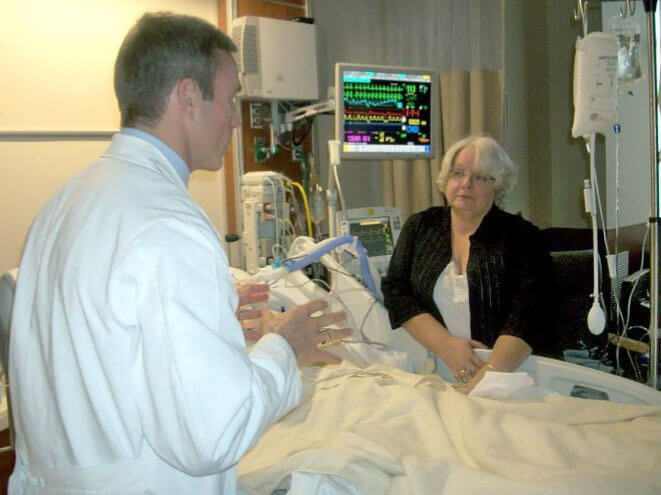 Through a series of questions put forward to the Intensive Care team we were able to successfully challenge the Intensive Care team’s “withdrawal of treatment” and “DNR” (do not resuscitate) order positioning. If anything I helped both families to have their own strong positioning that helped them to get what they wanted. This is what happens when you are seeking expert advice from someone who knows Intensive Care inside out and on an intimate level. It’s all about looking at the details, looking at the things that the Intensive Care team is trying to hide from you that I know for a fact they are hiding because I have seen it over and over again! But even if you don’t want to engage me personally on a 1:1 phone or personal counselling and consulting level, I have found a way to help you and your family to get what you want really quickly in a situation where the Intensive Care team is trying to coerce you and your family to agree to “withdraw treatment”, “limit or withdraw life support” or to agree to a “DNR” (Do not resuscitate) or “NFR” (Not for resuscitation) order. I have written an Ebook that comes with two Videos and two Audio recordings and in the Ebook you get all the information you need to challenge the Intensive Care team when it comes to a “withdrawal of treatment”, a “limitation of treatment”, a “withdrawal of life support” as well as “DNR” (Do not resuscitate) and “NFR” (Not for resuscitation) orders. In the Ebook, the two videos and the two audio recordings you’ll get like a “tool kit” or a “cheat sheet” to master this challenge when your critically ill loved one is threatened with a “withdrawal of treatment”, a “limitation of treatment”, a “withdrawal of life support” as well as “DNR” (Do not resuscitate) and “NFR” (Not for resuscitation) orders. You’ll get all the information that you need in order to successfully challenge and reverse a “withdrawal of treatment”, a “withdrawal or limitation of life support”, as well as “DNR” (Do not resuscitate) and “NFR” (Not for resuscitation) orders. It’s tailor-made and easy to use information for you, written and spoken in a language that you speak and understand! 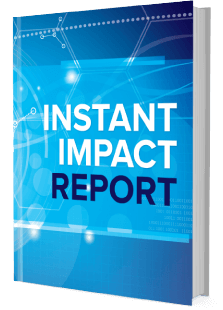 In order to make this really easy and effortless for you so that you can purchase this Ebook that comes with two videos and two audio recordings risk free I have made this really easy for you and I have made this virtually risk free for you. You basically have two weeks to try this Ebook (+ 2 videos and 2 audio recordings) out for free, I take all the risk but I’m so confident that this Ebook, the two videos and the two audio recordings will help you very quickly to not only challenge but also help you reverse “withdrawal of treatment”, “withdrawal and limitation of life support” orders, as well as “DNR” (Do not resuscitate) and “NFR” (Not for resuscitation) orders. That’s how confident I am in the information, the knowledge and the level of expertise that I can provide for you, for your family and for your critically ill loved one. 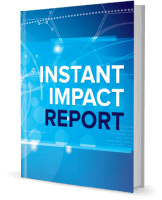 Check it out for two weeks for free, I take the risk and you can try it out and get results in the meantime! ONTARIO PHYSICIANS MUST OBTAIN CONSENT TO STOP LIFE-SUSTAINING TREATMENT! SPECIAL UPDATE: “UK Courts Remind Clinicians – No Unilateral DNR without Consulting Families first!” Having your loved one critically ill in Intensive Care, don’t be a victim! – INTENSIVE CARE HOTLINE The 6 deadly excuses that hold you back from making informed decisions, get peace of mind, control, power and influence, when your loved one is critically ill in Intensive Care! (PART 2) The difference between “real” and “perceived” futile medical treatment!